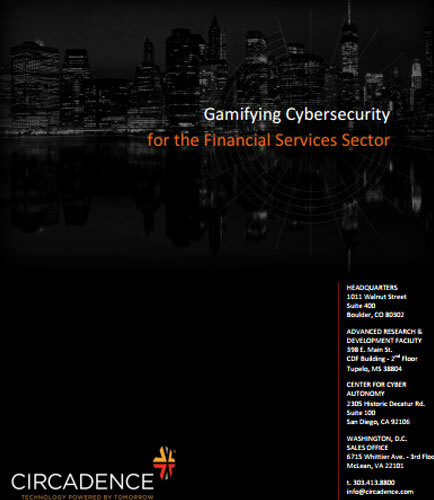 "Gamifying Cybersecurity: An opportunity for financial services companies"
Cyber‐attacks and threats against the financial services sector are ongoing – common targets include banks, payment processing companies, investment firms, and other organizations that manage financial transactions. A 2016 study reported that 83% of financial services companies cite defending against cyber threats and protecting personal data as one of their biggest challenges in building or maintaining their reputation over the next year. Gamification has the potential to bring a financial company's cyber security posture to the next level, producing both value and competitive advantage. Gamification allows companies to best determine how they direct their resources toward mitigating vulnerabilities and threats. What is Cyber Infrastructure ?